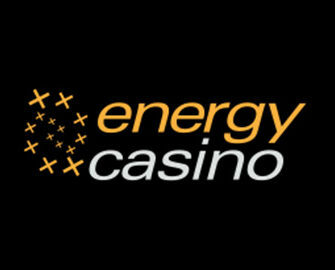 Energy Casino – St. Patrick’s Day Specials! Get your St. Patrick's treats! Win up to 50 Super EnergySpins on Finn and the Swirly Spin™! Plus, earn up to 200 EnergySpins on a selection of BF Games when you deposit today at Energy Casino. No time for a lazy Sunday as there is big storm brewing at your favorite gaming hangout. Compete for the highest equalized win on the Irish themed Netent slot and you could win up to 50 Super EnergySpins, worth €1.00 each. Anyone depositing today will receive tomorrow Free Spins on Stunning Hot or Stunning Hot 20 Deluxe. Need some booster to get through all the excitement? Not to worry, you can claim their 50% Weekly Reload Bonus, up to €50, to bump-up your balance for an extended play time plus earn double loyalty points when spinning on Pyramid Treasure. Bonus terms and conditions apply. Awesome 4-day tournament at Energy Casino, celebrating the famous St. Patrick’s Day. And it is a real fair type as the ranking on the leader board is determined by the highest equalized win over 50 consecutive spins with a minimum bet size of only €0.20 per spin. The TOP30 players will win high-value Free Spins prizes. Tournament Period: 18th March 2018, 23:59 CET. A Live leader board is visible on screen when playing any of the selected slots. Prizes: TOP20 scoring players will win between 5 – 50 Super EnergySpins at €1.00 on Finn and the Swirly Spin™. Prizes are added instantly after the tournament has ended. 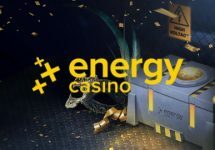 Wagering requirement is 1x FS winnings within seven days, subject to the Energy Casino bonus terms and conditions. Earned Energy Spins will be credited by 14:00 CET on 19th March 2018 and will be valid for seven days. Wagering requirement is 20x FS winnings on BF games only within three days, subject to the Energy Casino bonus terms and conditions. Any unused Free Spins will expire after seven days.